Oozing charm, Juan is also the adored pottery instructor at the Wake Forest Senior Center loved by all his adoring students. Beth a woman of many talents! I met Beth at the JC Raulston Arboretum… She’s one of the Border Babes maintaining the Mixed Border. Beth has also volunteered countless hours working with Landscape Architects on the Master Plan Committee, Programming and Education Committee, PR Committee, and co founded Volunteer Construction Crew and it shows! Together they garden with Boomer an Airedale terrier, Finnegan-tabby cat and the newest addition Atticus—the black kitty who was left in a box with other kittens in the Garden. Someone just knew they would be well cared for. 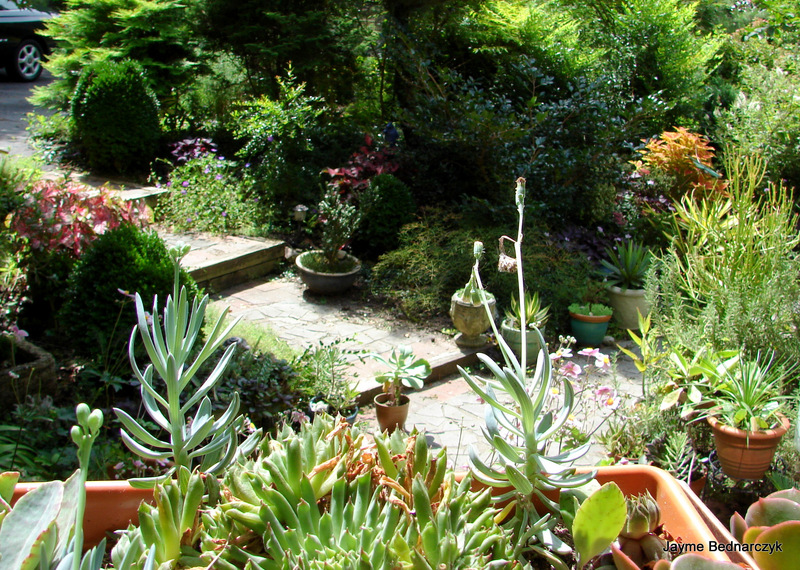 Entwined Life: What to you consider your gardening Style? Beth: I don’t think I have a particular style but by mid-summer I’m referring to it as ‘controlled chaos’. 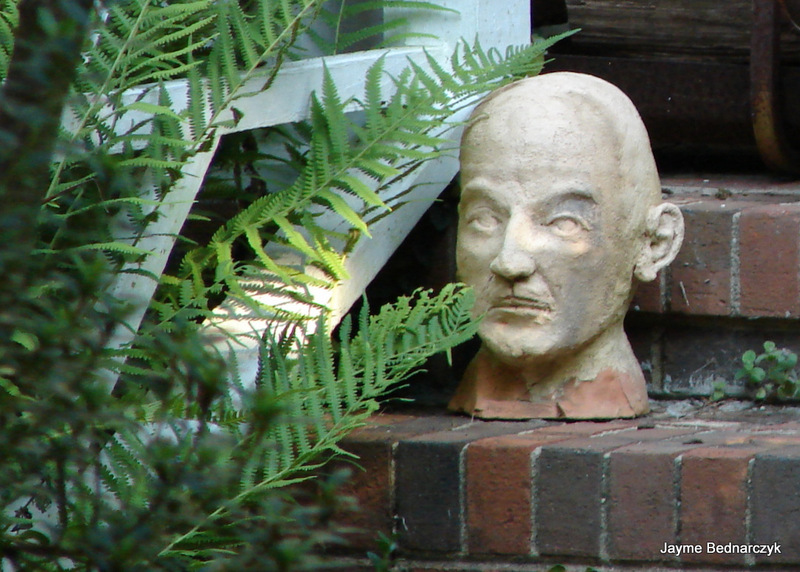 Juan: I’ll try anything in the vegetable garden…including a unique over head watering system…Beth calls it quirky. We have spots of really good soil and some that have been challenging but almost all of it has been amended after 22 plus years of digging and planting. The front slope has always been a challenge—the balancing skills of a mountain goat come in handy when working out there. For the last 10 years we have been working to deter the deer in the front, which is not fenced. I’ve had to relocate the Lilies and Hostas to the back and focus on plants they (the Deer) don’t love. That list is getting shorter and shorter as the deer get hungrier and tamer. There was very little here when we bought the house. An apple tree in the back yard…long gone after a bad storm so nearly all of it has been established since we bought the house in the fall of 1992. Definitely Japanese Maples and conifers…love them both and believe in planting little maples under big maples. Favorite Japanese maples—I’ve never met one I didn’t like but I’m particularly wild about my Acer japonicum Aconitifolium ‘Dancing Peacock’. Beth has been a member of the American Conifer Society for 8 years and has recently taken on the responsibility of co chair of the ACS S.E. 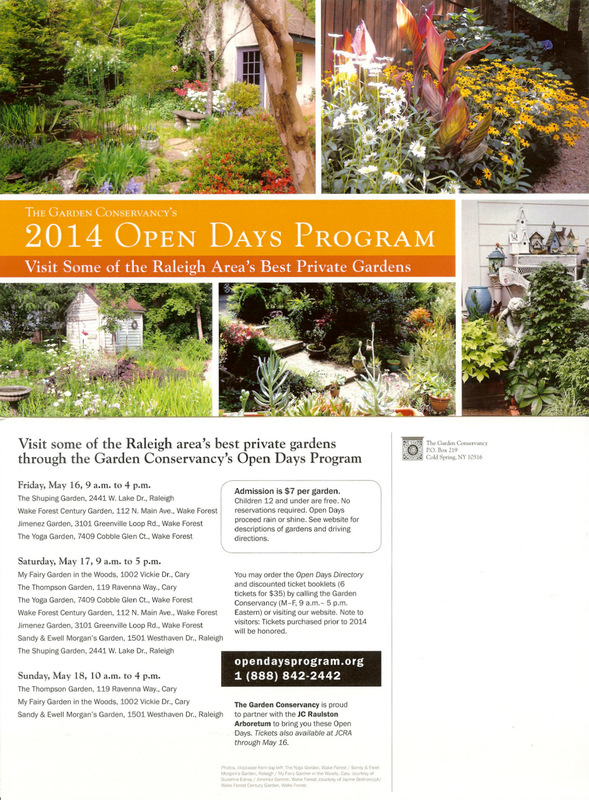 Region Reference Garden Program. Beth’s favorite conifers—Picea orientalis ‘Skylands’, Pinus strobus ‘Hillside Winter Gold’ and almost any Pinus parvilflora—I love the pines! 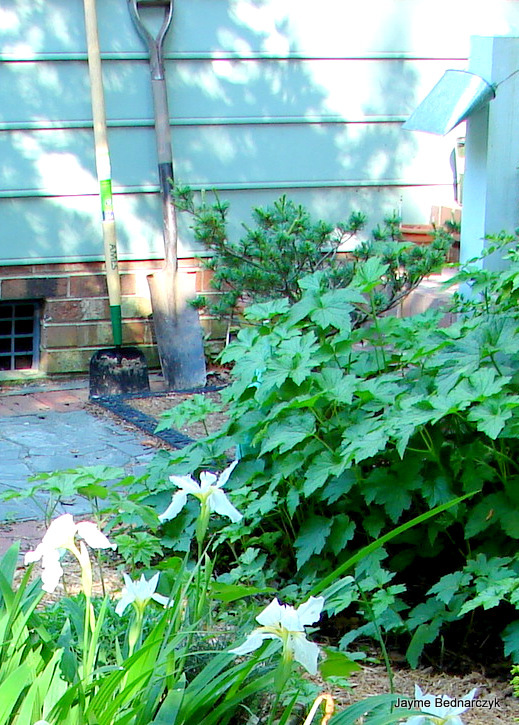 I have a Dutch perennial spade I bought at Logan’s at least 20 years ago that I use for pretty much everything. I couldn’t live without my Hori Hori knife and Felco pruners. Of course it depends on the time of year but I’m out there a lot especially in the spring and fall. I’ve added some new Hostas and a wonderful new Kousa dogwood called ‘Samaritan’. JC Raulston’s Connoisseur Plant Program! And the handsome new Garden Gate that Juan designed! My grandmother’s butterfly bushes—at her summer cabin in the Blue Ridge Mountains of Virginia. This one might surprise you but I lived in New York City for 21 years and missed the gardens I’d grown up with so I built a container garden on the roof of my apartment building in Greenwich Village. My neighbors and I spent summers on ‘tar beach’—It was terrific! Juan: I gardened in Basking Ridge New Jersey before we were married. 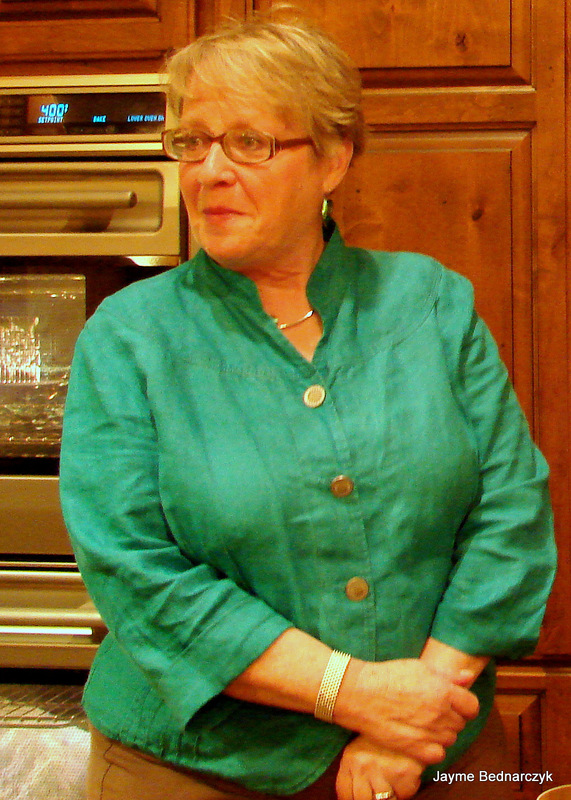 Beth: I gardened at our home in Dallas Texas for 4 ½ years before moving to Wake Forest. To the gardens of my friends— fellow JCRA volunteers. I put together annual garden trips for a group of friends and we’ve been to lots of states and seen many gardens but for me…Chanticleer is the most beautiful. 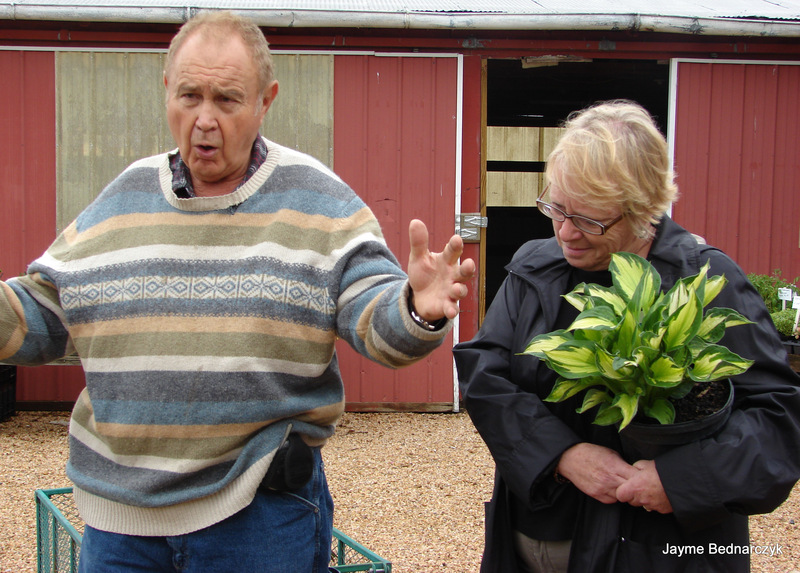 Plantsman Andre Viette speaking to group… Beth just scored a cool Hosta! Note: Just for fun, Beth annually organizes weeklong garden trips in the Southeast and Mid-Atlantic States for a large group of friends— fellow JCRA volunteers. Through Beth, we have met some of our horticultural heroes and visited amazing private gardens including—Michael Dirr, Coach Vince Dooley, AndreViette, Barbie Covin, Flo Chaffin , Allan Armitage, Marian St. Clair. I do spend a lot of time referencing Michael Dirr’s Manual on Woody Plants. Every one of my friends who garden are mentors to me—we all learn from one another but I will say, my good friend and business partner, Amelia Lane has made me want to be a better and more conscientious gardener. On the steps of my little greenhouse. I would hire my friend Mitzi Hole to work with me every time I’m working in the yard. She’s so much fun and a great gardener. Do you have ‘garden wisdom’ to share? Plant what you love and take good care of it. 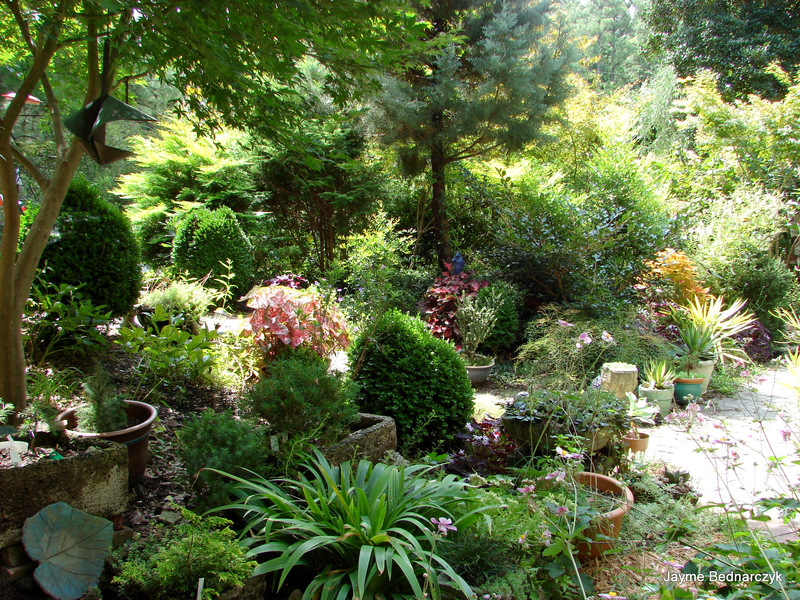 I feel lucky to be able to garden in an area where the weather is great all year, I have so many good gardening friends to learn from and an abundance of great nurseries and garden centers to frequent. This entry was posted in friends, Garden Conservancy, JC Raulston Arboretum, Open Days, photo and tagged Arboretum, friends, Garden Conservancy, Garden tool, Gardens, J. C. Raulston Arboretum, Open Days Tour, Wake Forest North Carolina. A beautiful couple and a fabulous garden–this is some tour! Wish you were here Marian! 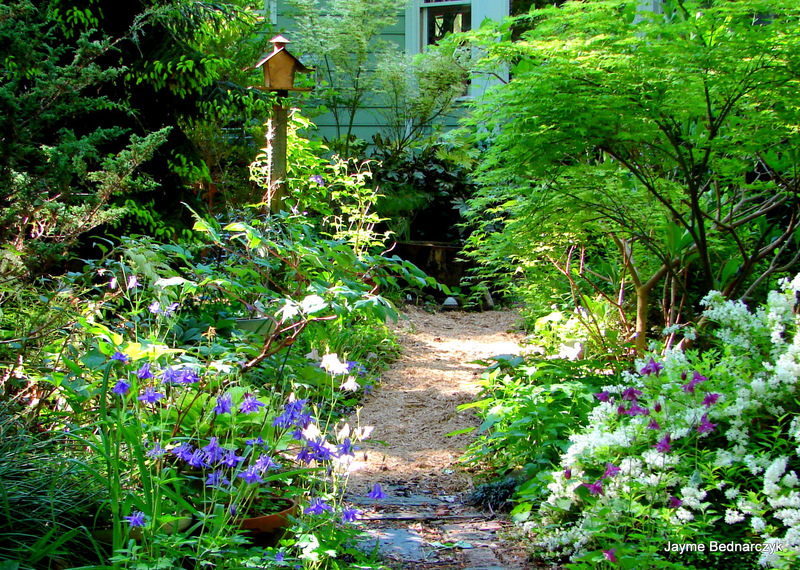 We still talk about the fabulous gardens in Greenville! And all your kindnesses! Many thanks! Beth speaks from her soul…..just adore these insightful interviews, Jayme! Thanks Lisa… Hope you haven’t blown away tonight! Beth lost her tent! Going to be a beautiful weekend!